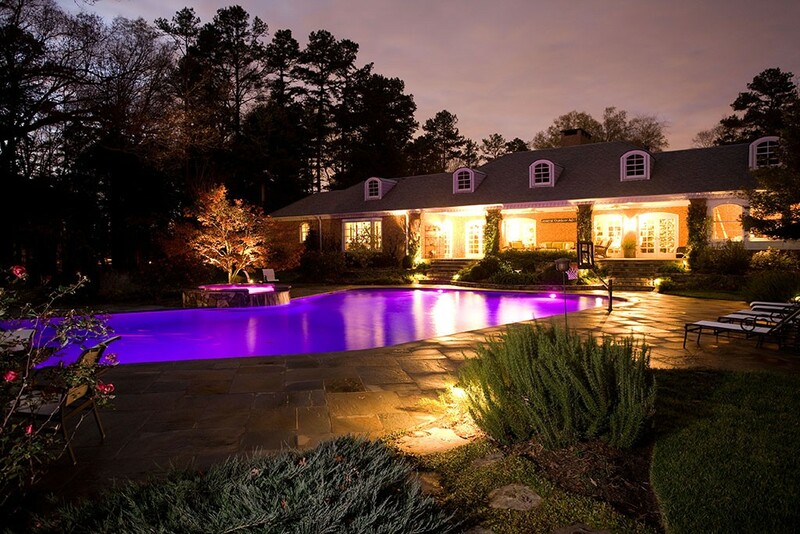 Some homeowners forget about lighting, but it’s an important element of landscape design. 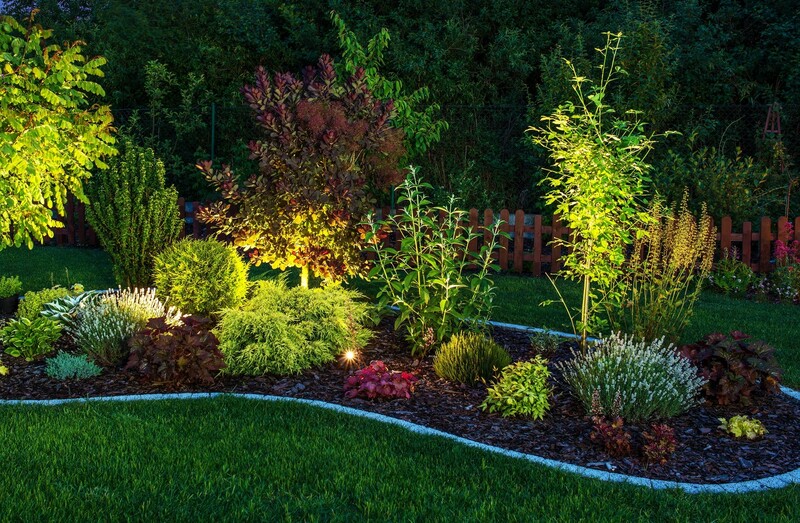 Good lighting can help your landscaping look great even at night. Thoughtful placement of lights can highlight important landscaping and architectural features to help your property look just as good in the dark as it does during the day. Place lights along paths and stairs, too, to help keep yourself and your guests safe as you stroll through the yard after sundown. Our creative professionals take an artistic approach to your lighting needs. One of the most important functions of landscape lighting is to highlight what’s already there. Industrial strength lights on doors and walkways can make your property look more welcoming and give some pop to its curb appeal. 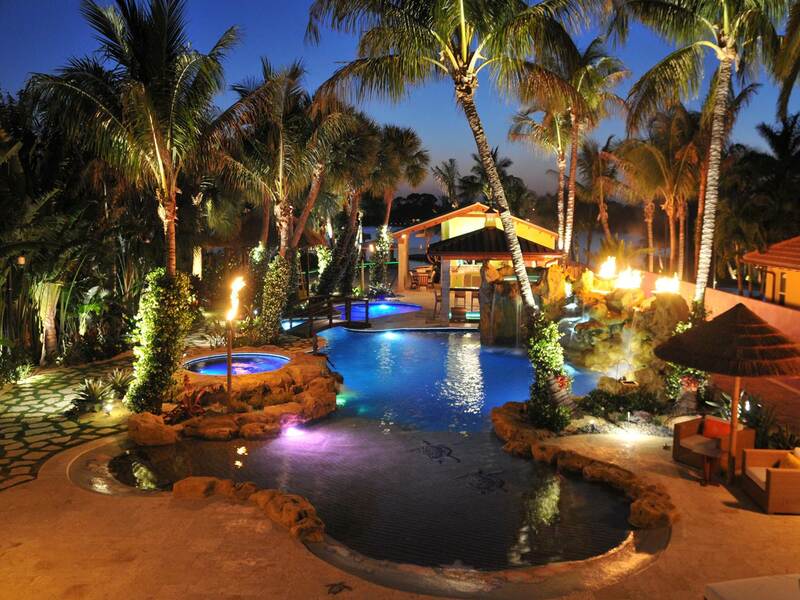 Powerful lighting can also make your yard more visible to help the outdoor fun continue well into the night. You can even use upward-facing lights to highlight specific landscaping features or the perimeter of your house for an artistic look. Once you have an idea of what you want to accomplish with your lighting, it’s time to pick specific features and design your setup. There are three main types of outdoor landscape lighting, and the different categories can be used in combination to create the perfect effect for your property. Spread Lighting – This type of lighting casts light across a wide area of your property. This is an excellent start if you want to add lighting to keep your yard accessible at night. Dim spread lighting can create a romantic atmosphere in an outdoor area, and brighter intensity is great for nighttime activities. 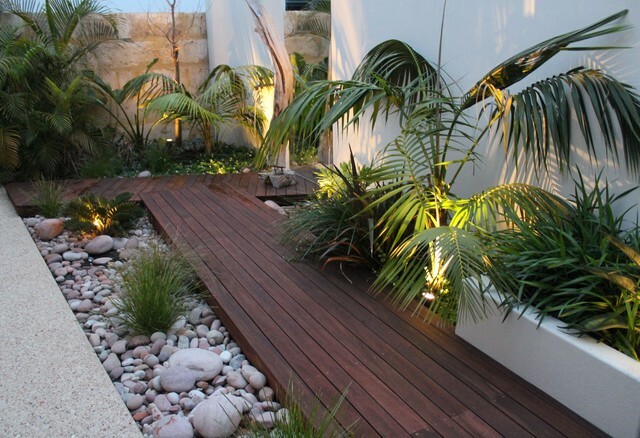 Path Lighting – This is one of the most common types of landscaping lighting. This can help keep your pathways safe, and it adds some aesthetic appeal too. Accent Lighting – This is best used to call attention to certain features of your property. It will cast a dim glow on the surrounding area while highlighting one specific feature. Outdoor lighting is completely safe as long as it’s done correctly. Install a transformer to get low voltage electricity that will be completely safe in any weather. Use a heavy-gauge cable to help the transformer supply even power across all light fixtures. Plant Professionals approaches every project with meticulous attention to detail. Our designers will survey your property to get a feel for the unique characteristics that make it unique. 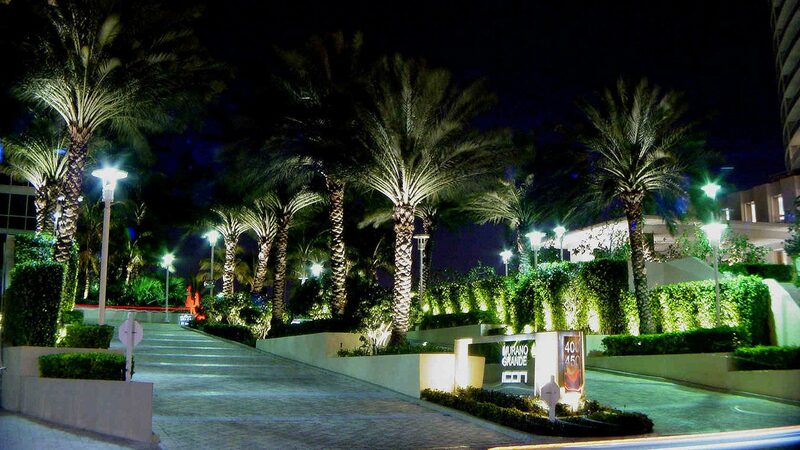 We can tackle any size project from residential to commercial landscape design in South Florida. 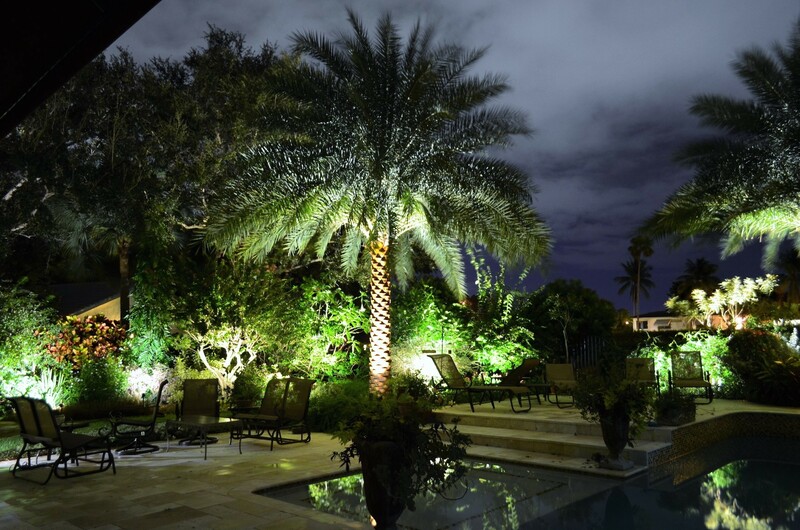 Contact us today to learn more about how we can enhance your property with great landscape lighting.